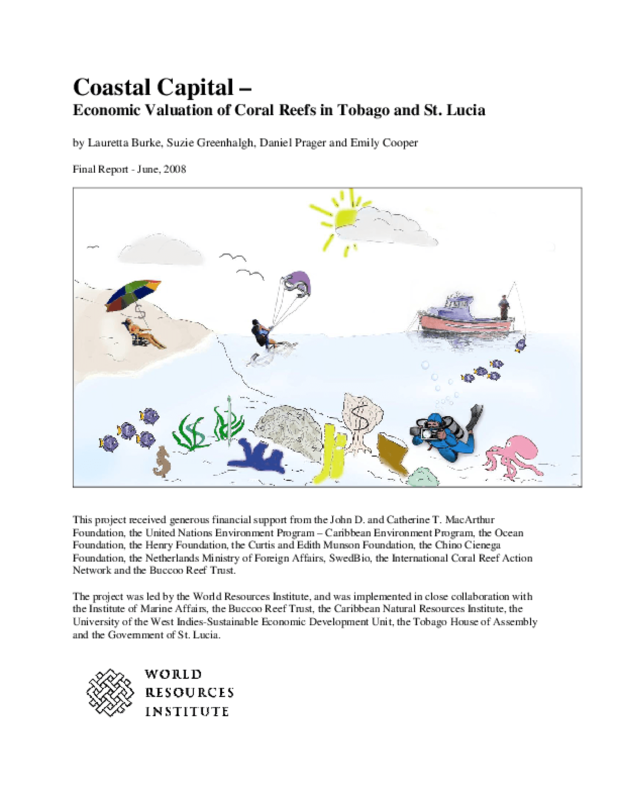 Presents findings on the economic benefits of coral reefs to the local economies of Tobago and St. Lucia, using a new, broadly applicable methodology that focuses on benefits to tourism, fisheries, and shoreline protection. Includes policy applications. Copyright 2008 World Resources Institute.